India, from one corner to another, is steeped in religious history, and it has countless Hindu pilgrimage destinations. But the Char Dham (translated as 'the four abodes'), in the lap of the Himalayas, is the most popular pilgrimage circuit of all. If you are planning to experience the Hindu religious culture and traditions, you should head straight to the Char Dham destinations, comprising of Yamunotri, Gangotri, Kedarnath and Badrinath, located in the northern India state of Uttarakhand. Each of the Char Dham destinations has immense significance in the religious history of India. 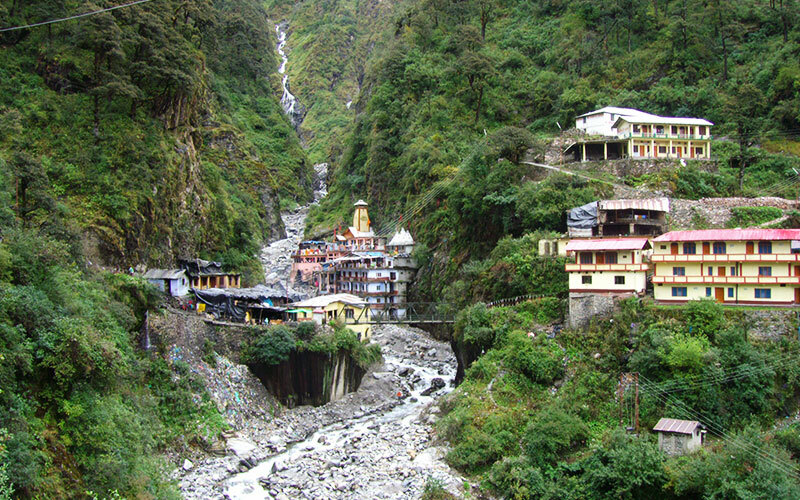 Yamunotri derives its name from Hindu goddess Yamuna. Gangotri is named after the goddess Ganga. 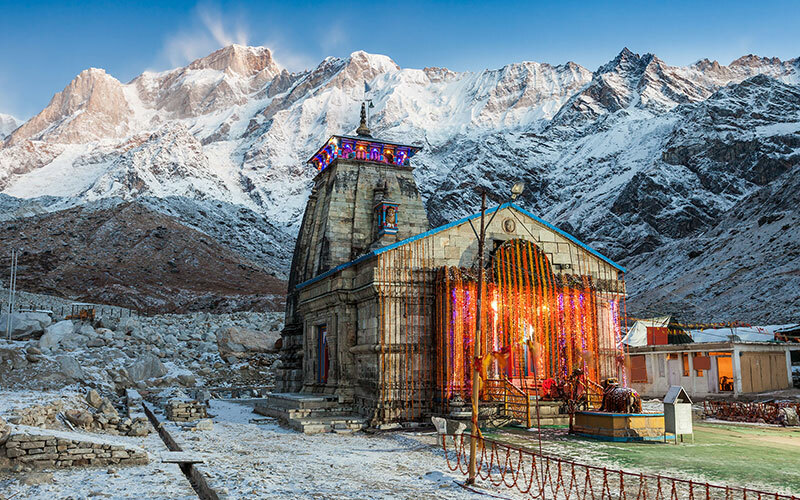 Kedarnath and Badrinath are the seats of the Hindu gods Shiva and Vishnu respectively. Every year, thousands of tourists from India and outside undertake the Char Dham yatra to seek the blessings of a host of Hindu deities and soak up the spiritual peace of the destinations. Max Holidays has put together a well-designed Char Dham yatra tour to help you take a closer look and experience the Hindu culture. The tour starts with a sightseeing of Delhi. Next, you travel to Haridwar, located in Uttarakhand and a popular Hindu pilgrimage site. 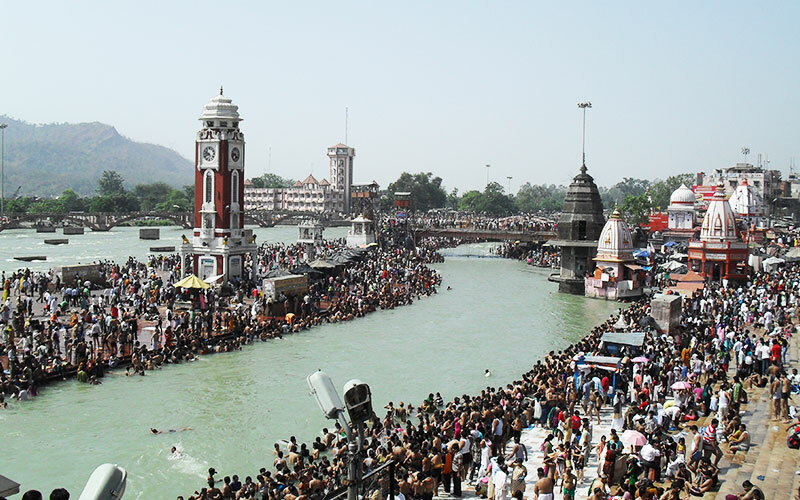 From Haridwar, you will enter the world-famous Char Dham circuit. While you spend time at each of the Char Dham destinations, you will also get an excellent opportunity to explore those multiple Hindu pilgrimage sites that lie en route. Therefore, apart from visiting Yamunotri, Gangotri, Kedarnath and Badrinath, you will also visit religious places like Uttarkashi, Guptakashi, Gaurikund and Joshimath. The tour ultimately provides you with a unique spiritual experience that you would love sharing with your friends and family back home. Upon arrival at the capital city of India – Delhi, you will be met and greeted by the representative of Max Holidays. You will be then comfortably transferred to the designated hotel for night stay. After a leisurely breakfast proceed to enjoy a full day combined tour to Old and New Delhi with an excellent tour guide. Delhi will offer you a combination of all type of attraction and entertainment. 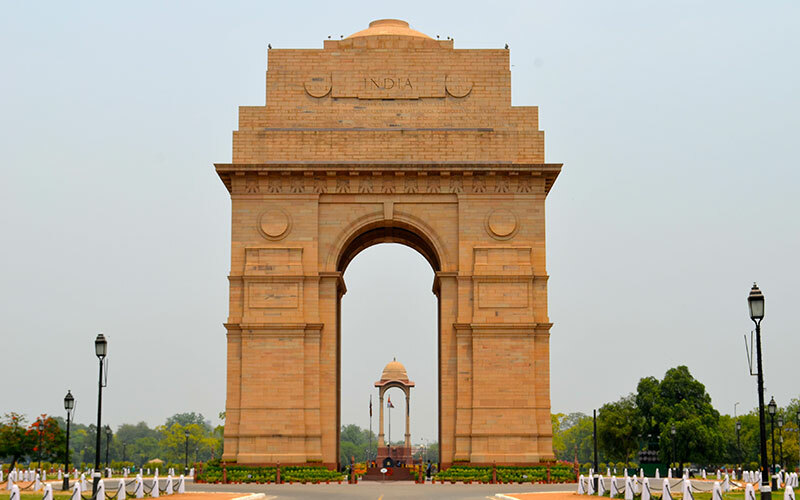 Visit few of the main tourist attractions in the city, including India Gate, President’s Palace, Raj Ghat, Red Fort, Jama Masjid and Qutub Minar. All these sites have some or other characteristics which make them different from every other site. The difference will be easily understood by you after visiting the place and after the explanation of the guide. Evening back to your hotel. Following breakfast at hotel, we will drive to Haridwar. The tour for the land of god will start with your foot steps in Haridwar. The literal meaning of ‘Haridwar’ is ‘the gate to Lord Vishnu’; every pilgrim comes here to please Lord Vishnu and river Ganga which is considered to be the only temple in Haridwar. On arrival on the pious land of Haridwar you will be transferred to your pre booked hotel. Get freshen up and relax. In the evening start the sightseeing with the Ganga Mandir and Chandi Devi Mandir. Visit the main Ghats including Saptarishi Kund and Har-Ki-Pauri and also enjoy the magnificent and beautiful ceremony of evening Ganga Aarti at the Ghat. Overnight stay in the hotel at Haridwar. Early morning after breakfast, on our Char Dham Yatra tour we head to Barkot via Mussoorie where we stop for lunch. Mussoorie is often called as the queen of hills in India. In Mussoorie a visit to Kempty water fall is worth. The drive from Haridwar to Barkot will be adventurous as well as attractive which will entertain you through out the journey. Reach Barkot, check in camp for dinner and night stay. Have an early breakfast and proceed to Jankichatti where we will begin 07 kms / 03 hours trek to Yamunotri. At Yamunotri visit the temple of Goddess Yamuna, situated on the bank of the river. Also visit Divya Shila spring , a hot spring ,pure and pious for taking bath and washing all sins and also helpful in cooking potato and rice to take as a ‘prasad’. It is the common rituals performed by the devotees. Yamunotri is one of the pilgrimage sites of all the four sacred places of Char Dham Yatra. Yamunotri is famous for being the origin place of river Yamuna. Later return back to Barkot in the evening for dinner and night stay at our Char Dham Yatra Camp Barkot in the evening for dinner and night stay at our Char Dham Yatra Camp. This day after early breakfast in the camp we will head to Uttarkashi – situated at the bank of river Bhagirathi that presents a picturesque view of the place. The thundering river creates a view which mesmerizes its viewer and heels every problem and relax one for long. You will feel like being in heaven when you will visit these beautiful valleys in the world. In this heaven place you will have dinner and night stay in the Char Dham Yatra Camp. Proceed to Gangotri in the morning after breakfast. On arrival at Gangotri – one of the pilgrim centres of Char Dham Yatra, take a holy dip in the sacred river Ganga or Bhagirathi, as it was named originally. Perform pooja (prayer) at Ganga Temple in Gangotri and enjoy the lovely surrounding while relaxing. Hold all the beautiful view of the place deep in your heart and start your drive back to Uttarkashi via Harsil. Explore the panoramic and magnificent view of Harsil on the way to Uttarkashi. Dinner and night stay will be at Char Dham Yatra Camp at Uttarkashi. After early breakfast at the Char Dham Yatra camp, continue drive to Guptakashi. With the heart touching and magnificent views on the way, reach Guptakashi. Guptakashi is famous for its Shiv Temple and the temple of Ardhanareshwara don’t miss the chance of visiting these two most important temples of Guptakashi. Meal and night stay will be at Char Dham Yatra Camp at Guptakashi. On our Char Dham Yatra today we will proceed to Gaurikund (33 kms / 1 hr) in the morning. Gaurikund has derived its name from Goddess Parvati, wife of Lord Shiva who in most part of the country is also known by the name ‘Gauri’. Begin trek to Kedarnath (14 kms / 4 hrs) from Gaurikund. Kedarnath is the holy source of river Mandakini. In the evening time visit Kedarnath Temple for Darshan, Aarti & pooja (prayer ceremony). Dinner and night stay at a guest house in Kedarnath. Early morning after breakfast start a back trek to Gaurikund and further drive towards Guptakashi. With a break and refreshment continue your drive in a comfortable vehicle towards Joshimath. Joshimath is a place famous for its Shankaracharya Cave. Enroute from Guptakashi to Joshimath visit Chopta which has a great view to offer you. On arrival at Joshimath check into the Char Dham Yatra Camp. Overnight stay and dinner will be at the camp. Early morning head to Badrinath to complete your tour of Char Dham Yatra. Offer prayer in the temple at Badrinath, also enjoy visit to Mana village which is the last Indian Village before Tibet. Enjoy the awesome view of nature and admire the place. Evening back to Joshimath. Get your meal finish and relax for night in the Char Dham Camp at Joshimath. After breakfast drive towards Haridwar. Upon arrival in Haridwar, check in hotel for rest and night stay.. Early morning after breakfast, proceed to Delhi. You will be met by the Max Holidays Representative to assist you to transfer you to Delhi International Airport to board you in your next connected flight. 04 nights in handpicked hotels, 08 nights in char dham camps. All ground transport for sightseeing trips.